Omega Pet Urns For Dog/ Cat Ashes With Base 8.5"
Hoegh Omega Pet Urns For Dog/ Cat Ashes With Base 8.5" is an inexpensive alternative to a casket. This Grecian style urn is molded from a low density polyethylene and has an approximate capacity of 90 cubic inches. The cat or dog urns are sealed with a snap-in plug that can be permanently sealed by touching the sides of the plug with a soldering iron. After the urn is sealed, it is placed in a simulated wood base. 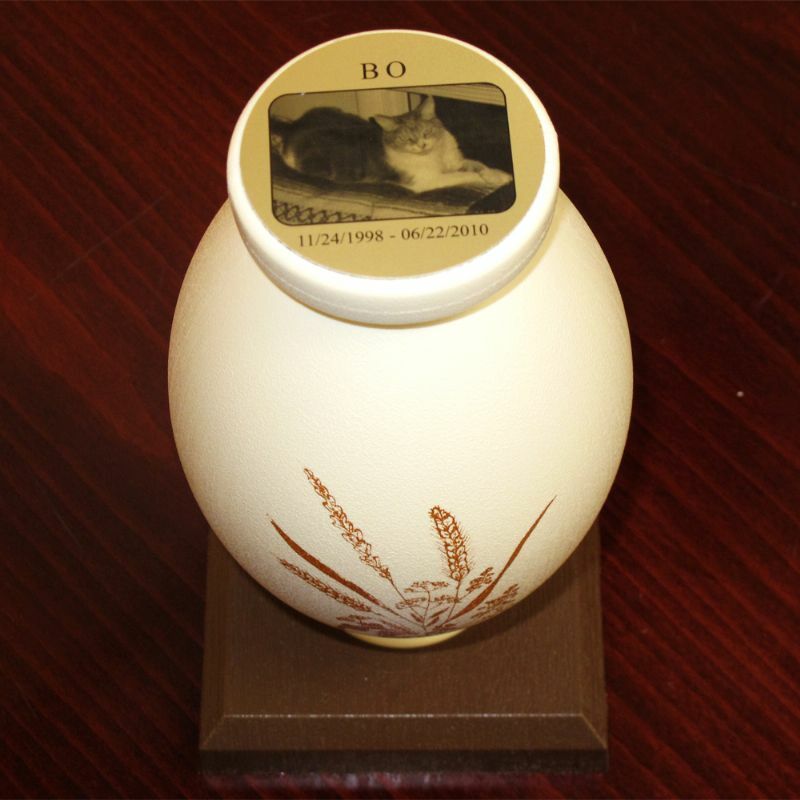 The opportunity to purchase a specially designed photoengraved plate that fits the top of the Omega pet cremation urn is presented with each urn.